Joe manages litigation in both state and federal courts. He has tried cases in every federal district in Louisiana as well as in parishes throughout the State. He has also successfully litigated cases before the United States Fifth Circuit Court of Appeals. Joe has earned a Martindale Hubbell Client Review Rating of “Preeminent” based on Communication Ability, Responsiveness, Quality of Service and Value for Money. He has earned a Martindale Hubbell Peer Review Rating of “AV Preeminent,” based on Legal Knowledge, Analytical Capabilities, Judgment, Communication Ability and Legal Experience. In 2011, Joe was privileged to complete the CLM Litigation Management Institute and earn the designation of Certified Litigation Management Professional (CLMP). That designation recognizes his understanding of and commitment to the business of managing litigation, as well as the value, skills and knowledge he brings to his business and client base. Joe knows that being an effective counsel includes not only excellent trial skills but outstanding negotiation and conflict resolution skills as well. Joe is also a talented and experienced mediator, and serves as a mediator through MAPS Mediation and Arbitration Services (www.maps-adr.com). 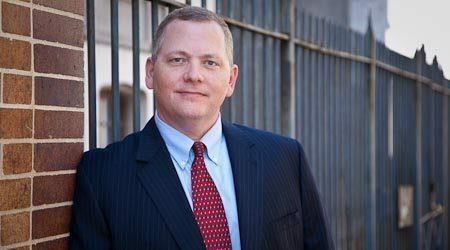 Joe was recognized as a Top Lawyer for 2014, 2013 and 2010 by New Orleans Magazine, and selected as a 2010 and 2017 Leader in Law by New Orleans CityBusiness. Joe has also been selected by his peers for inclusion in Best Lawyers in America© for construction defect litigation in 2016, 2017, 2018 and 2019. National Institute For Trial Advocacy – Gulf Coast Regional Trial Advocacy Program. Hastings College of Law – Trial Advocacy Program.